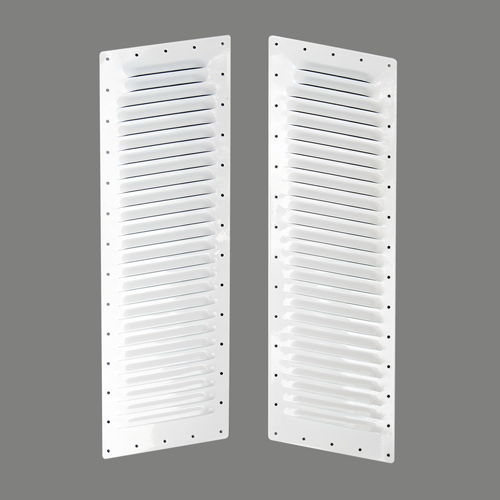 7″ X 22 1/4″ – Each Panel. 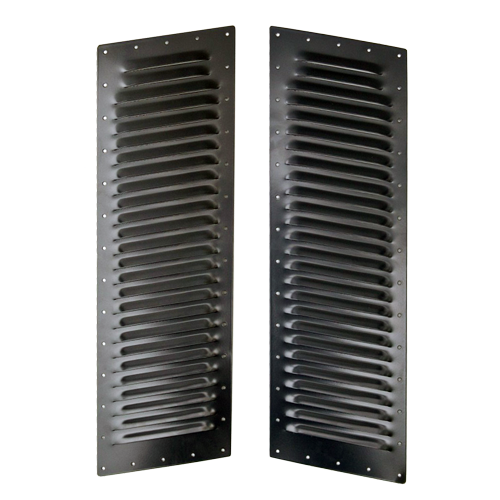 Two Panels Per Set, 26 Louvers Per Panel. Many applications, especially on the outboard areas of hoods with a wide power bulge/depression/hood scoop in the center. 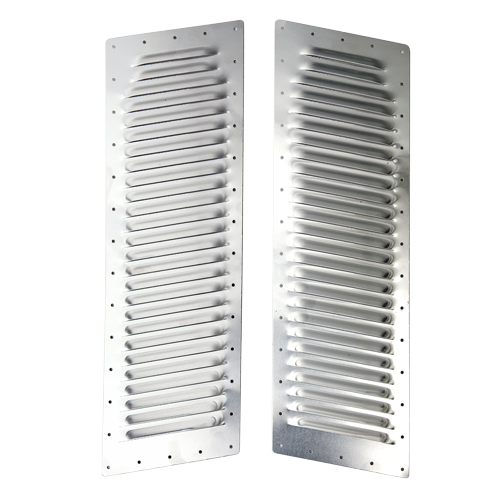 Also use as Side Louvers on over-the-road trucks. Complete with Titanium-Coated Drill Bit and your choice of Stainless Steel, Black or White Pop Rivets (please specify!) and User Friendly Instructions so easy that over 97% install them themselves!